Two healthcare trains may be headed for a collision in Congress next month, as a bipartisan group of governors and three Senate Republicans push clashing visions of how to fix the Affordable Care Act. But it's unclear whether Republicans and Democrats will be able to agree on any bill—or whether President Donald Trump will sign one—before the Sept. 27 deadline for insurers to decide whether to offer individual-market plans in 2018. While Democrats, insurers and providers seek rapid action to stabilize the markets to moderate premium increases and keep insurers and consumers from fleeing, many Republicans would prefer to keep trying to repeal and replace the ACA despite the collapse of their effort in July. Even if the two sides stick to a narrower market-stabilization approach, Republicans are likely to push for insurance deregulation measures that Democrats may balk at. 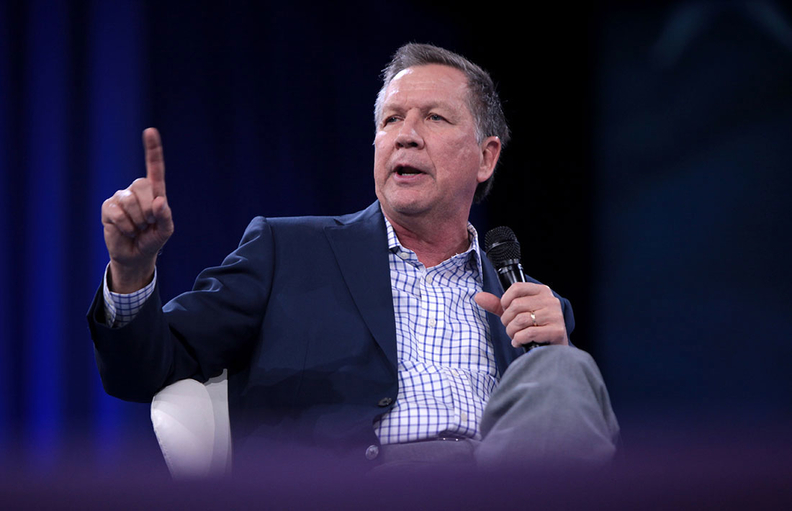 Eight governors, led by Republican John Kasich of Ohio and Democrat John Hickenlooper of Colorado, released a four-page proposal Thursday focusing on four immediate steps to stabilize the individual insurance market covering nearly 18 million Americans. They want Congress to quickly pass a bill to fund payments to insurers for the ACA's cost-sharing reductions for low-income enrollees; create a temporary reinsurance program to reduce premiums; let consumers in underserved counties buy into the Federal Employees Health Benefits Program; and preserve the ACA's requirement that everyone buy coverage. The governors say funding for the reinsurance program, which insurers and regulators avidly seek, should last at least two years and be fully offset by other cuts or revenue provisions so it's budget-neutral. But political observers say the prospects for Congress agreeing on new funding for a reinsurance mechanism or offsetting budget cuts are dicey. The governors' outline also laid out longer-term ideas for reducing underlying medical costs and giving states more flexibility to let insurers offer cheaper health plans. Their proposal, similar to a two-stage reform white paper released Wednesday by the Bipartisan Policy Center, does not recommend overhauling and cutting Medicaid, which was a key part of the GOP repeal-and-replace bills. Meanwhile, Republican Sens. Bill Cassidy of Louisiana, Lindsey Graham of South Carolina, and Dean Heller of Nevada are working to build support among GOP lawmakers and governors for their more comprehensive plan to replace the ACA framework with a program of block grants to the states to fund expanded coverage. Their plan, the details of which have not been released, would restructure Medicaid and likely would reduce funding. The Senate Health, Education, Labor and Pensions Committee is scheduled to hold hearings next week for the purpose of crafting a market-stabilization bill, along the lines that the Kasich-Hickenlooper group has proposed. Republican Sen. Lamar Alexander, the chairman of the committee, says he'd like to pass the narrow stabilization bill by late September. But political observers say Alexander's efforts may be undercut by his GOP colleagues' push for their repeal-and-replace bill. "Cassidy-Graham is arguably more in line with where conservative Republicans want to go," said Christopher Condeluci, a Republican healthcare lobbyist and former Senate staffer. The governors' letter to congressional leaders, which was signed two Republicans, five Democrats and one independent, includes some innovative ideas for increasing health plan competition around the country. They said they were concerned that premiums are expected to increase by an average of 18% in 2018 and 1,400 counties will have only one carrier. One idea is offering insurers an incentive to enter underserved counties by exempting them from the ACA's tax on premiums. Another is letting people in those counties buy into the Federal Employees Health Benefits, or FEHB, Program. But Matthew Fiedler, an economist with the Brookings Institution's Center for Health Policy, said that while he's sympathetic to the FEHB proposal, insurers participating in that federal employee benefit program would face serious operational problems. "It would be very difficult to have this ready in time for open enrollment two months from now," he said. For the future, the bipartisan governors group proposed that Congress take action to drive down healthcare costs, such as more strongly promoting value-based healthcare purchasing and expanding price and quality transparency tools for consumers. "Premiums are high because healthcare is expensive," Fiedler said. "That represents a correct diagnosis of the long-run affordability problems and points in a direction where there could be bipartisan work over the next few years." The governors also proposed that states be given more flexibility in setting essential benefit requirements, and that they have more leeway in using the ACA's Section 1332 waivers to craft their own coverage systems. But Condeluci said the Trump administration already has the authority to grant states more flexibility under 1332 waivers, and that probably wouldn't be enough to win conservative Republican support for legislation that stabilizes a law they detest. Conservatives likely will insist on stronger provisions to relax ACA insurance regulations, such as the requirement that all plans offer 10 categories of minimum essential benefits. Plus, the involvement of only two Republicans in the governors' proposal—Kasich and Nevada's Brian Sandoval, both considered moderates—may signal to congressional Republicans that the proposal does not have the support of conservative GOP governors. "If there aren't enough conservative Republicans willing to join moderates, then Speaker Paul Ryan will have a tough time getting 218 votes to pass the bill unless he's willing to do it with a majority of Democrats," Condeluci said.